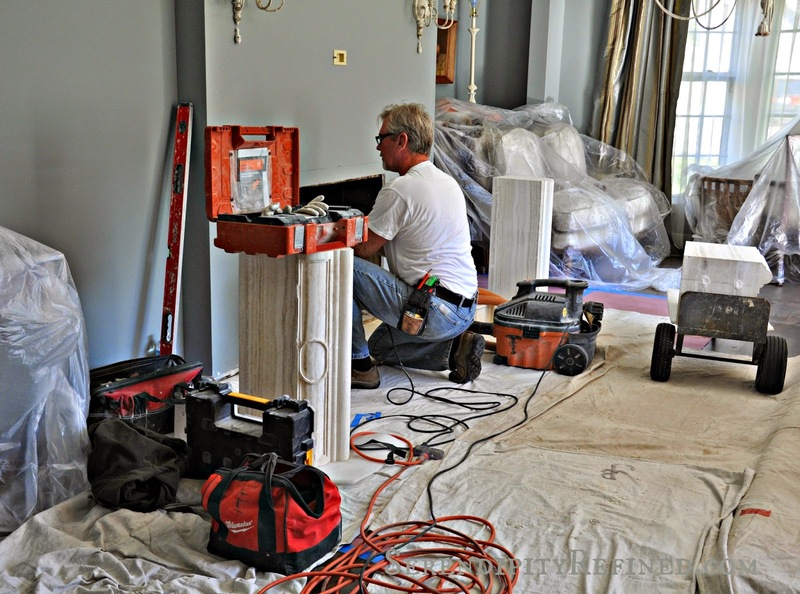 Once upon a time, what seems like a very long time ago (actually, just about nine months ago), I embarked upon the conversion of the ranch house living room to the farm house dining room. To say that there have been a few twists and turns along this road would be an understatement. Thankfully, I had planned for most of them. 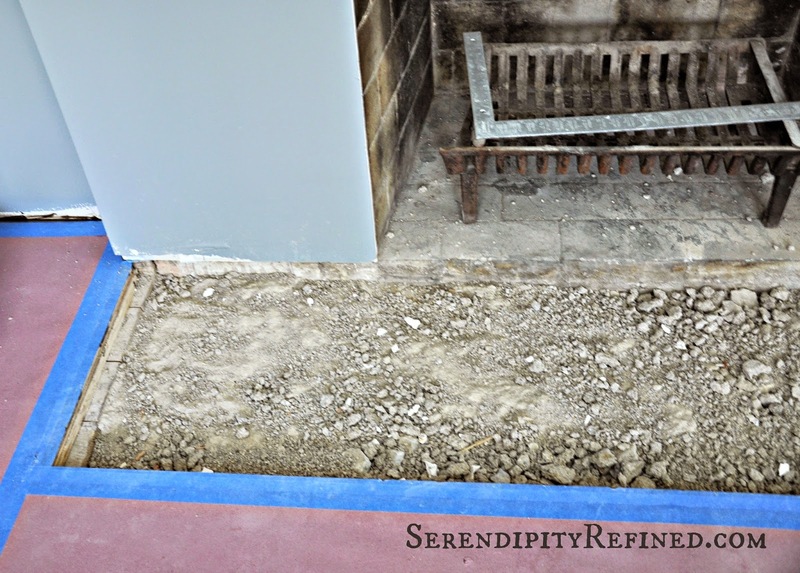 I knew that the 1950's black, mid-century fireplace was going to have to go. There was a period of time when I thought that I'd just leave the peach brick that was exposed when we removed the paneling. You remember, don't you? It was the morning back in January that I discovered water pouring from the ceiling in the finished basement at 6am. Darned icemaker. Then we found the black mold....and tore out the wall and the floor.... and found out that the brick couldn't be exposed. 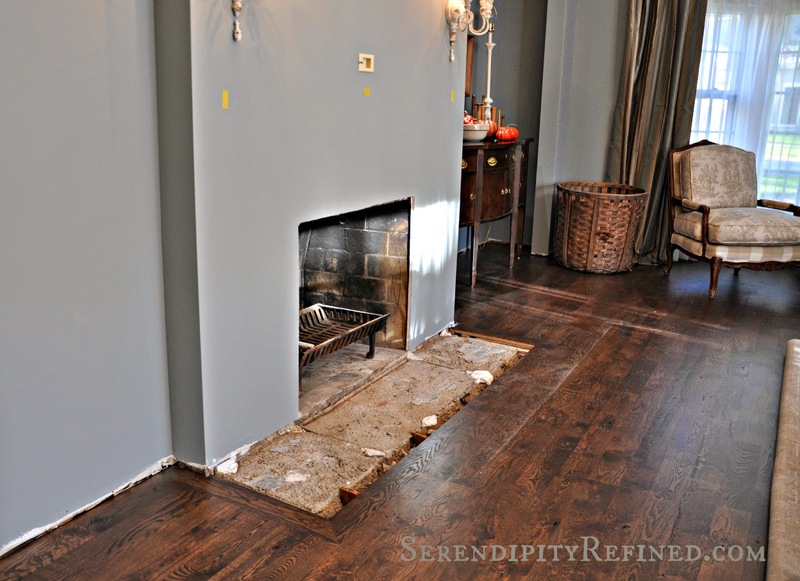 I had the fireplace drywalled and moved on to Plan B: Finding a fireplace surround that I loved. Once again, serendipity paid a visit in the form of a conversation with my friend, Traci. 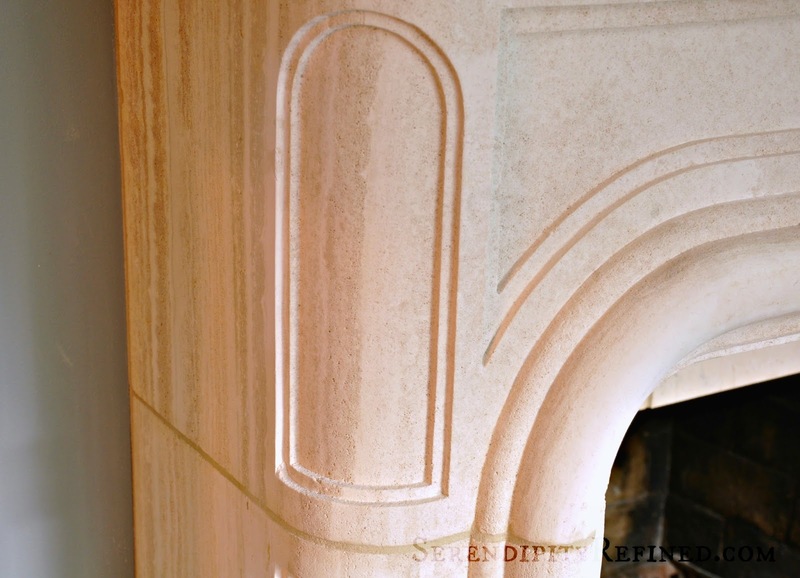 I knew that I wanted limestone...real limestone, not composite or resin. I knew that I wanted a French design. Traci pointed me to a website where I found the design. 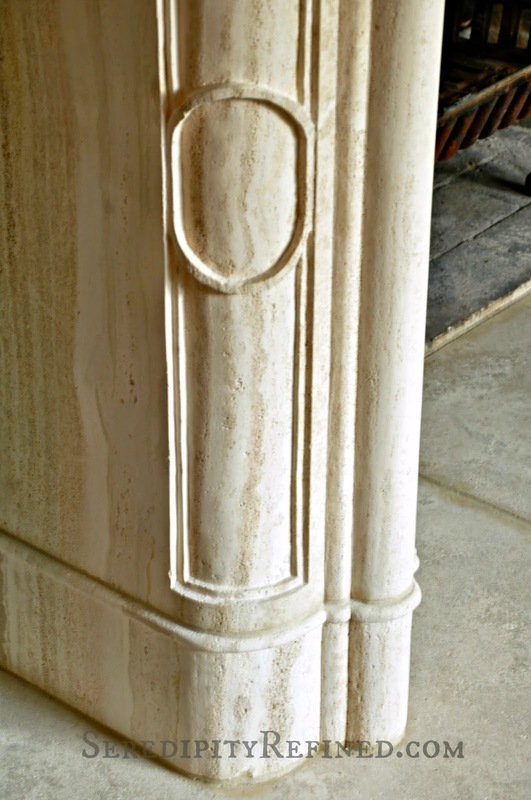 A replica of a surround originally found in the Loire Valley of France in 1810. From there, the search was on for a fabricator to make my vision come to life. After contacting several stone fabricators in my area, I found Materials Marketing in Hinsdale. I measured my hearth, the wall, the fire box opening and then made some rough overall measurements that would work within the limits of my room. 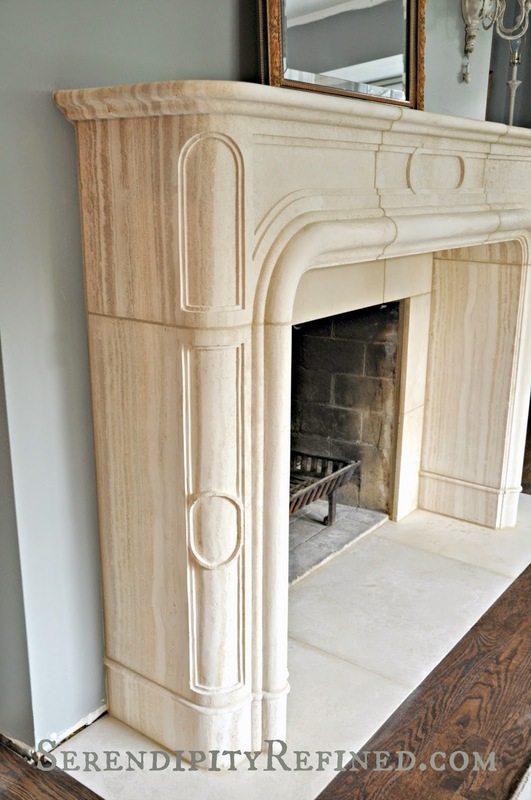 Materials Marketing used the drawings that I found on the Internet and my measurements to help me to design my fireplace surround, hearth, and the limestone tile that was needed to make the transition between the existing opening and height of the surround that I wanted. The surround was ordered. 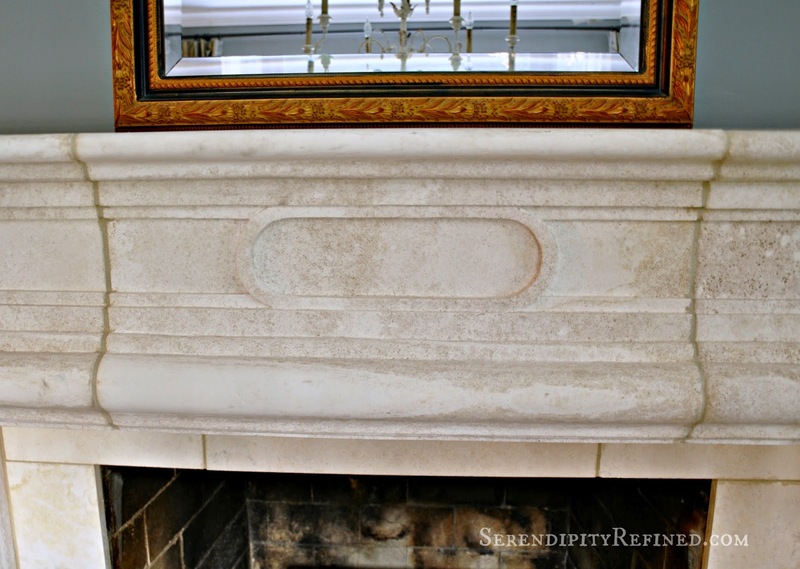 A couple of thousand pounds of limestone was fabricated and my new surround was shipped about 12 weeks later. There was some in-transit damage (chips on the edges of a few of the pieces) that needed to be repaired. Fortunately, I was referred to an incredible mason/artisan named Tom Rail who did such a great job that I'm pretty sure that he's the only one who knows for sure where the chips were. He's also the installer that you see above. A couple of weeks ago, the gas line for the gas logs was installed and this week, at long last, the new surround was installed. Now that it's over, I'll admit that I haven't been this nervous about anything house related since we got the crawl space dried out last fall. To be honest, I really wasn't sure until Wednesday afternoon that the surround would fit or that it would turn out the way that I thought that it would. I woke up at 4am for the last couple of days worrying because if the design of the surround had gone "wrong", it could have gone VERY wrong. Thankfully, I had a great workroom and Denise at Materials double-and triple-checked the numbers for me. 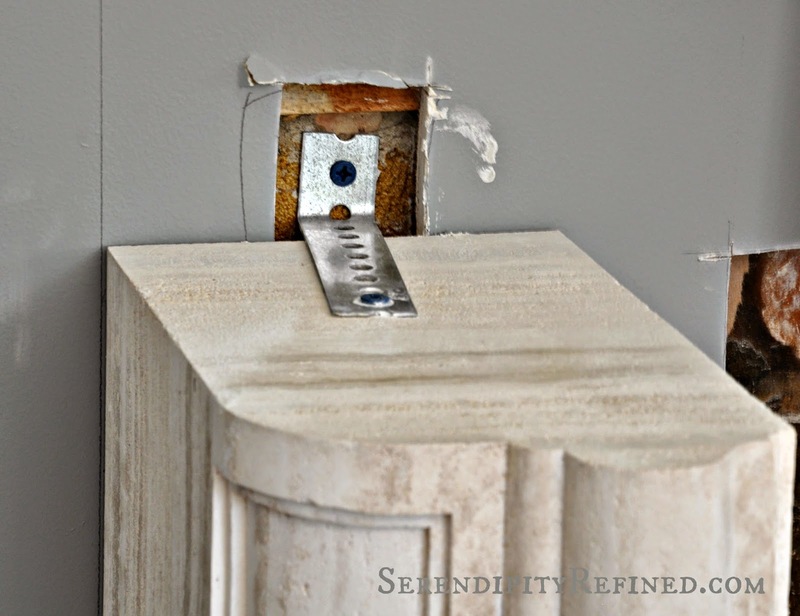 She also made sure that the work drawings made sense and things like the type of stone matched up for all of the pieces. ..True story...one of the parts somehow got labeled to be made from a completely different colored stone....glad that we caught that! 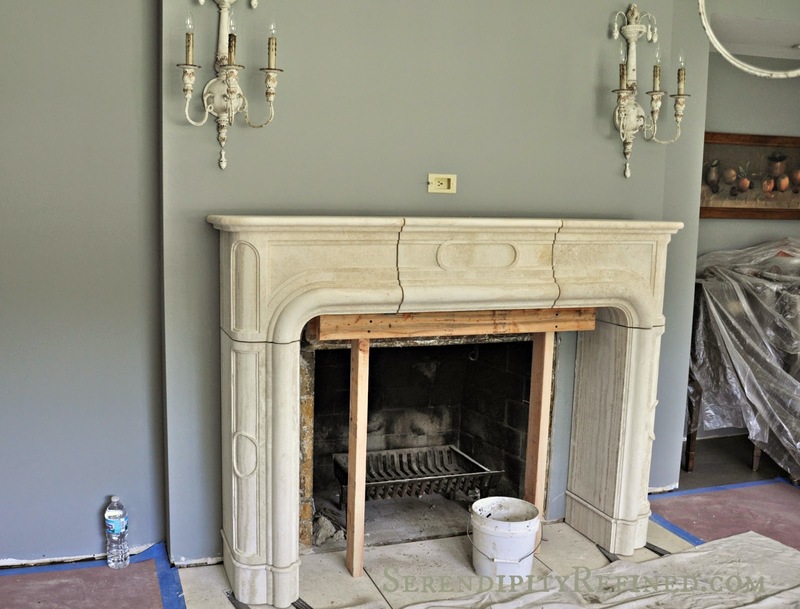 I'm so happy with the way that it turned out that I'm considering doing a combination of limestone, reclaimed wood, and exposed brick for the fireplace in the new hearth room. It's like when I purchased the farmhouse sink on Craigslist and was so successful that I decided to move on to cast iron soaker tubs. I'm trying to keep that in the back of my mind moving forward. 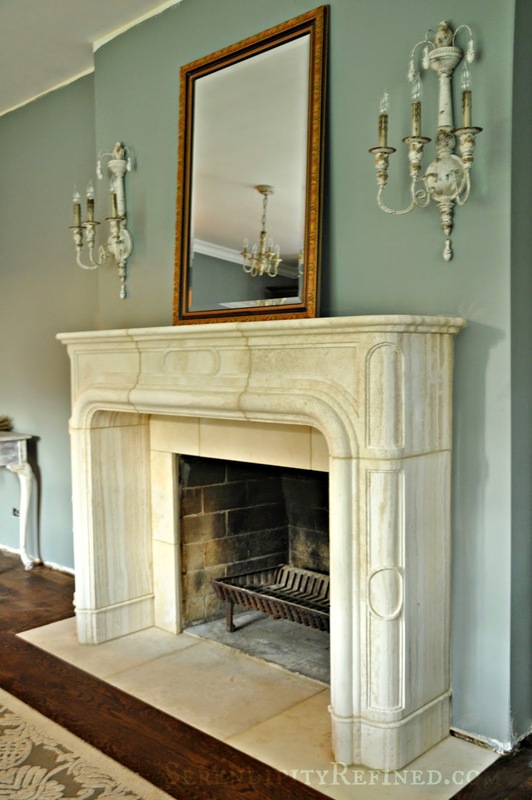 Today I'm thankful that my new "old" French limestone fireplace mantel surround is safely installed in the new dining room and I can park in my garage again (for a little while). Oh! 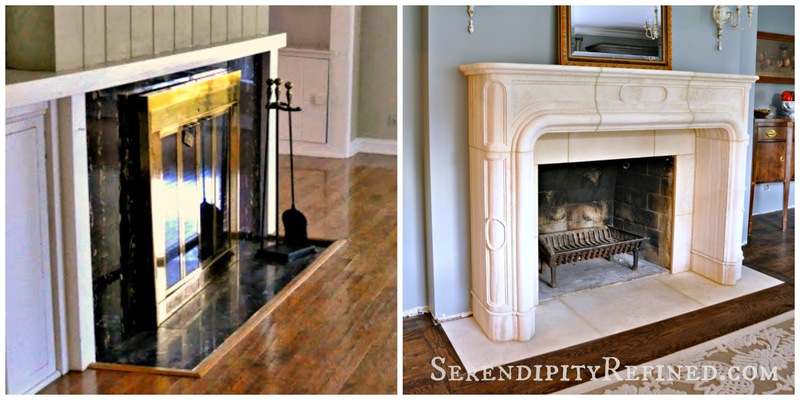 and that I've got a mantel to decorate for fall! Stay tuned.